The Large White Car Bow is available in white, for other colors please see the other products in our store. 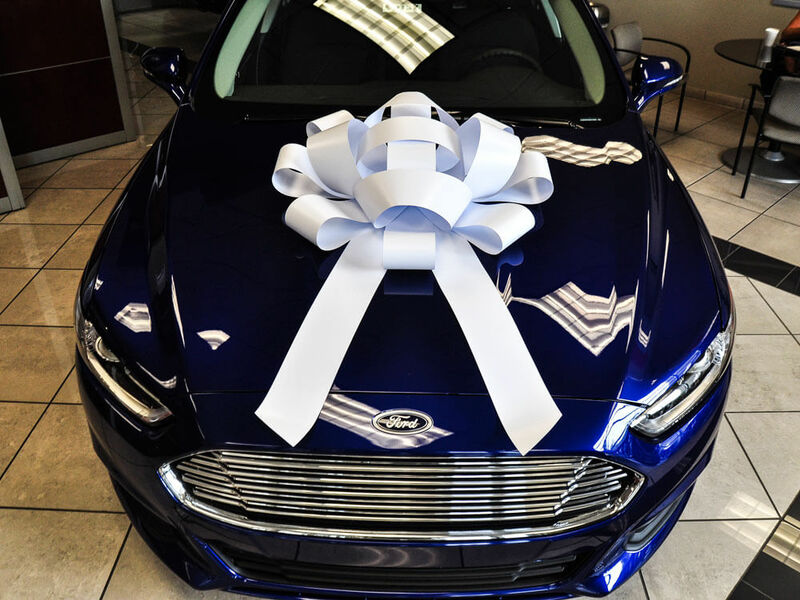 This beautiful Large Car Bow will make any vehicle look stunning, whether to use in your dealership or when presenting a gift. 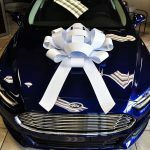 If you own a dealership and you want to make your vehicles look attractive and catch the attention of buyers, the Big White Car Bow Ribbon is the perfect way to get noticed. Now all your cars will look amazing, adding the “Wow” factor to make them even more tempting when customers are deciding which car to buy. Alternatively, you might have bought a car as a gift for someone special. 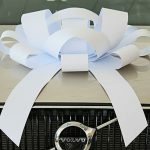 While wrapping up something as large as a car might be a challenge, adding a decorative white magnetic car bow is an easy way to present it beautifully and ensure you make your gift look even more amazing. The Giant Car Bow is the classy and stylish way to present any vehicle for any occasion. Try our other Big Car Bows in Red, Blue, Green, and Black, or check out our Pull Bows, Suction Cup Car Bows, Happy Birthday Car Bows, and Color Combination Car Bows. Buy 10 or more by adjusting your cart before checkout. And if you want to order 20 or more, don’t forget to find out about our discount prices for bulk orders: orders@carbowz.com. Buy your car bow today and we’ll get it to your door in less than 5 days wherever you are in the USA, make sure to choose one of our upgraded shipping options at checkout!